Ex-employees blow the whistle on a SoCal company. You've probably heard ads on the radio from those companies that promise to get your mortgage payments slashed, sometimes in half. They're called loan modification companies. Authorities say many of them are scammers and con artists, but they haven't always been able to shut them down. NBC investigative reporter Joel Grover exposes how one of the biggest loan modification companies has managed to stay in business, even though authorities in several states have tried to stop it. The company has been widely known as 21st Century Legal Services, and its ads say it can get you a lower monthly payment and lower interest rate on your home mortage. Joanne and Dave Steffin signed up with 21st Century, because they say the company promised to help them avoid foreclosure on their Rancho Cucamonga home. But the Steffins say all 21st Century did was take their money and not deliever on its promises. "It's not even the fact that they took your money. It's the fact that you may lose the home still," Joanne Steffin said. 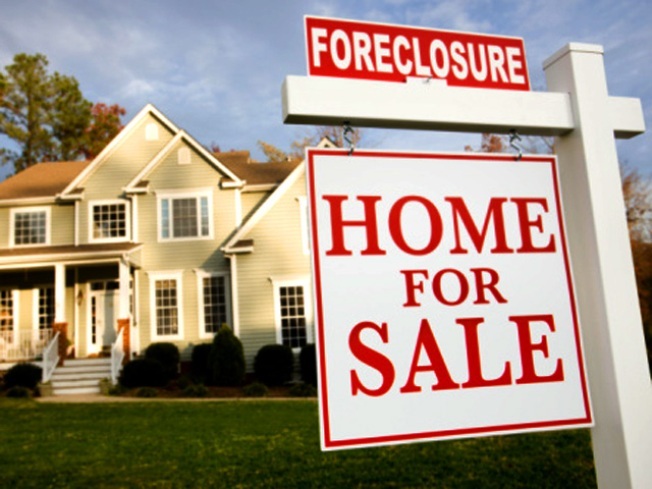 In the last year, 21st Century became a giant in the loan modification business, operating out of a business park in Rancho Cucamonga, with dozens of employees working the phones, signing up homeowners desperate to avoid foreclosure. But two ex-employees tell NBC that the majority of 21st Century clients never got their loans modified. "You were told to promise (clients) that they could get their loan modified?" Grover asked one of the former employees. "Yeah, 100 percent," the ex-employee answered. Four states have sued 21st Century, and the Better Business Bureau says 21st Century has more complaints than any other loan modification company in business. But that didn't stop 21st Century from signing up more and more clients. Those two ex-employees explained to NBC about how 21st did business. The company always asked homeowners to pay them a hefty fee upfront, supposedly to get their loan modified. Joanne and Dave Steffin had to fork over $3,500, and were told that 21st Century would be "working diligently with their lender" to try and get their payments cut in half. "I just felt that if this is what they're going to do and they can do this, we're stupid not to do it," said Dave Steffin. But months later, the Steffins say 21st Century had cashed their checks, wouldn't return their calls and didn't even contact their lender. "Do you feel like you were scammed?" Grover asked the Steffins. "Yes, very much," said Dave Steffin. And those ex-employees interviewed by NBC say the customers they signed up kept calling them, saying things like, "You've taken my money," "Nothing has been done to help my home," and "Now I'm in foreclosure." Complaints like those caught the attention of the attorneys general in Ohio, Indiana, Arkansas and North Carolina. All four states banned 21st Century from doing business in their states. But authorities say 21st Century Legal Services changed its name to Fidelity National Legal Services and continued signing up new clients. Ex-employees say Fidelity was run out of the same office as 21st Century; was owned by the same woman, Andrea Ramirez; and even used the same ads to snare customers. But the feds might finally be catching up with the owners of 21st Century and Fidelity. The FBI recently served search warrants on the home of Ramirez and searched the company's offices. The FBI says the company is now under federal investigation. The company's lawyer didn't return our calls for comment. NBC did this investigation with help from the non-profit investigative journalism organization Propublica. California homeowners can get advice avoiding scammers at Attorney General Jerry Brown's website.